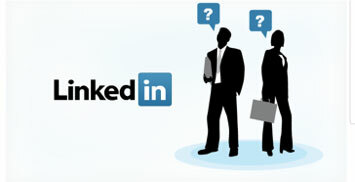 Unlike Facebook, Twitter, or Instagram, LinkedIn is a business connection network...At least that’s what it was when it was launched, and I believe it is still more business-focused...In fact, the many emails I receive stating that a connection has recommended me for a certain industry skill, confirms the fact that it is a business network. So how can I honestly refer or recommend someone if we have never shook hands, or spent some time together, or engaged in a business transaction, or even said “Hi” to each other...If I referred you to someone and you do a horrible job, how do I defend myself if I don’t even know you, or your character? One final thought on LinkedIn referrals, they have made it too easy now, to simply click a button and refer someone...Sometimes I see that a connection has referred me for a skill, and I think, how do they know I can do that well? Talk to you soon, God willing!